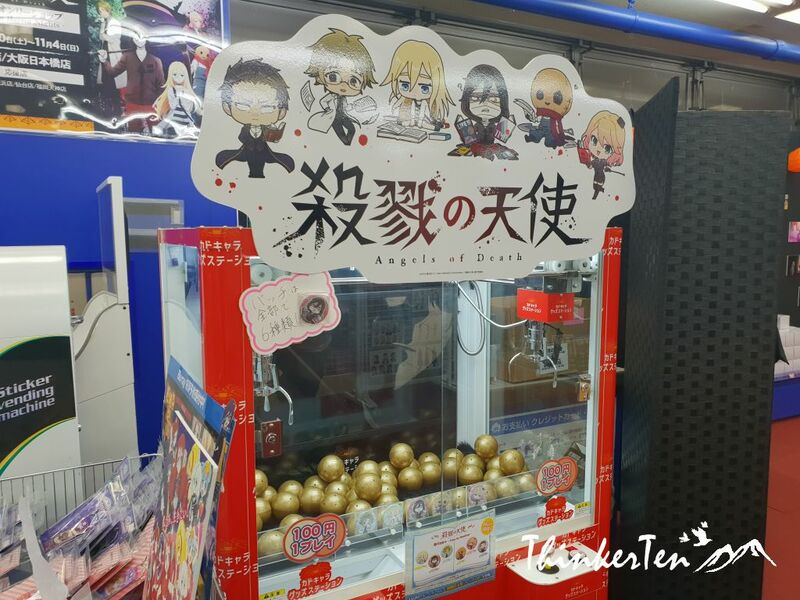 Japan : Den Den Town Osaka – The Animate Kingdom! “Anime” is a borrowed word from “animation” in English. Japanese has a lot of borrowed word from the west & China but I am not going to talk about it here. 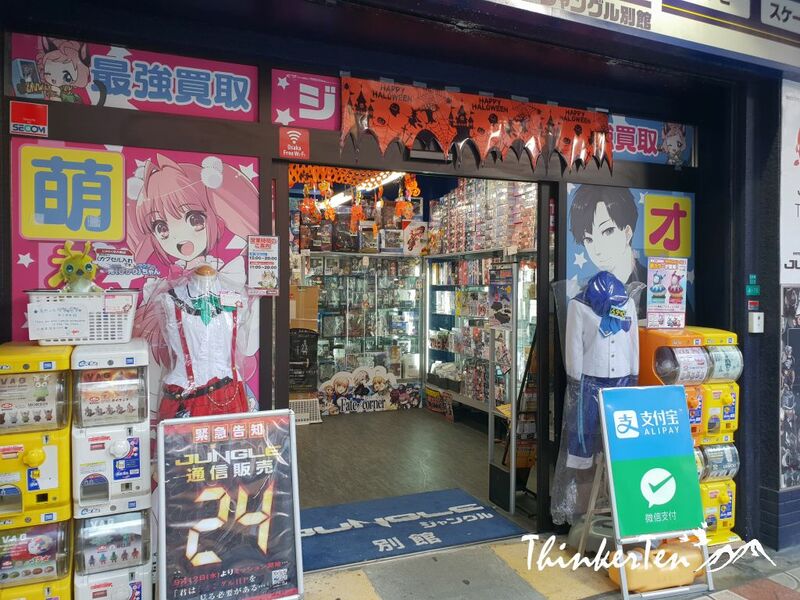 This post is about Anime Kingdom in Osaka – The Denden Town. Let’s explore Japanese anime culture! Den Den town is a popular shopping destination for fans of Japanese anime and manga. I was doing a city tour in Osaka so included Den Den Town as well, since it is within walking distance from Nippombashi & Kuromon market. Over here in Den Den Town, you also find small electronic stores that selling home-ware, camera and white goods. Plenty of video games stores/vintage games, toy shops and second-hand shops here. You may find some retro gems here. 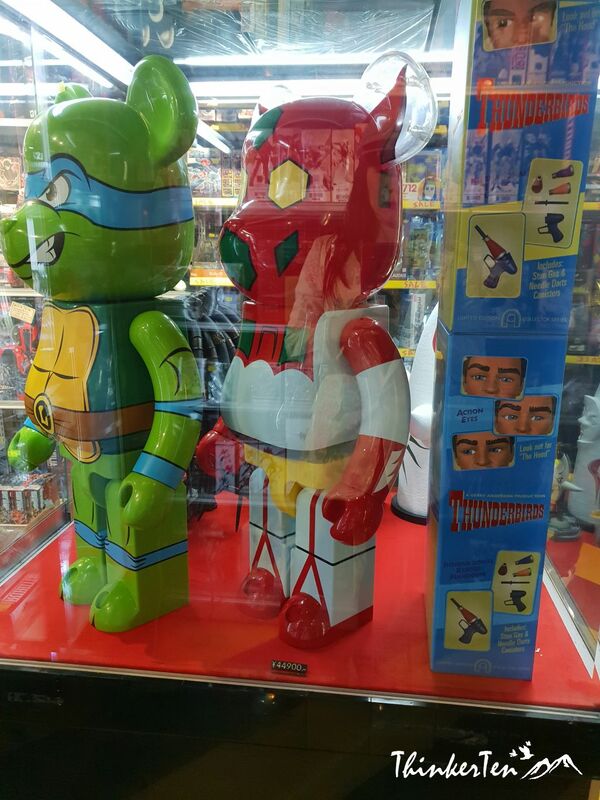 I was exploring one of the toy stores and find many of the toys are second-hand and retro. If you have lost some old toys in your childhood days and missed them badly, then this is the place to dig and very likely you can find them here. 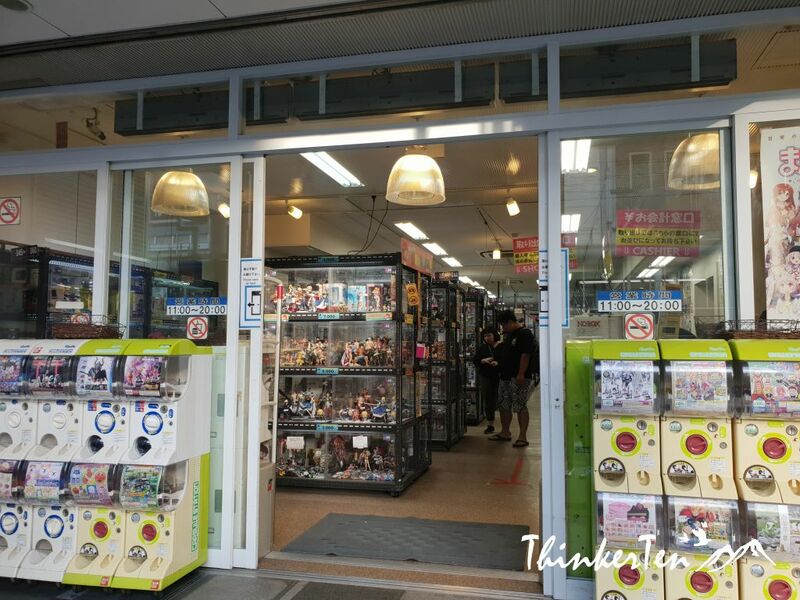 This store (below) sells anime and manga figures and toys and most figures are being locked up behind the glass wardrobe. I heard you can also sell your old toy here. 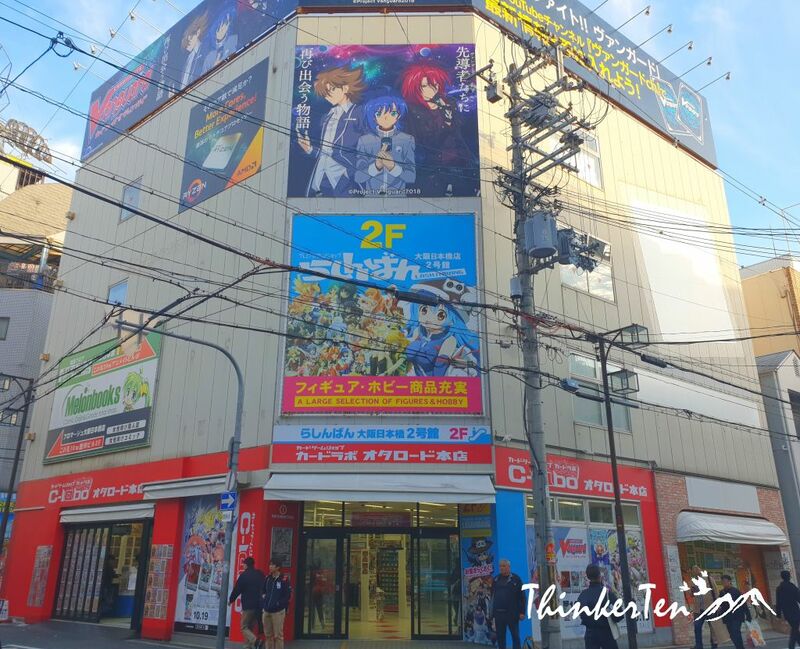 This is one of the biggest stores in Den Den town, it has 4 levels to see from various ranges of animate related stuff, such as comics, manga, CD & DVDs and cosplay costumes. Animate is the chain store which can be found in all over Japan. This place also hold events regularly so I would strongly recommend to check this store out. My favorite anime films would be some of the famous collections from director Hayao Miyazaki such as “Spirited Away” , “My neighbor Totoro” and the more recent masterpiece – “Ponyo”. Have you watched any of Hayao Miyazaki’s anime? Anime merchandise aren’t cheap at all, especially those popular characters or figures. Anime fan is willing to spend on their collectable. 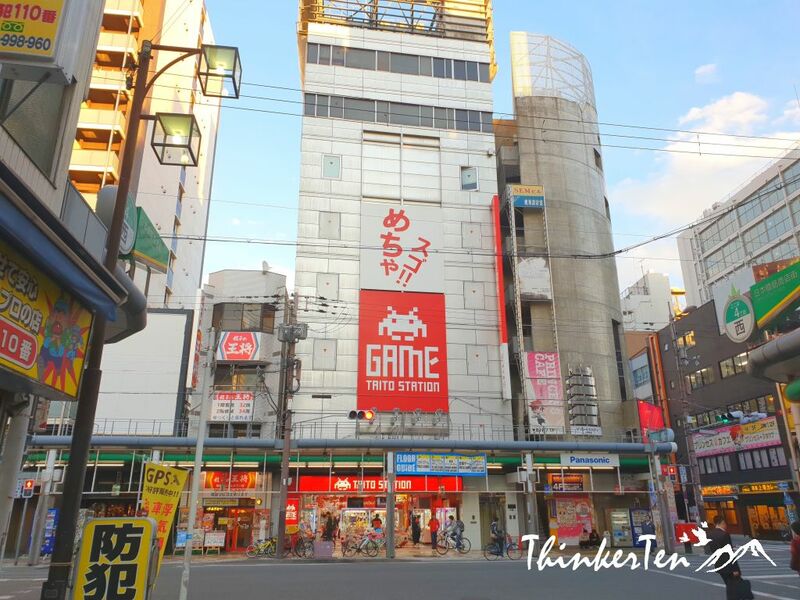 Den Den town is favorite place for “Otaku”. Otaku mean young Japanese single man who is obsessed with anime, manga, cosplay, collectibles, role-playing and computer games. In English, the closer word I could think of is “geek”. Otaku usually stay hours at home and never come out to socialise with others. Have you met any “otaku” in your country? 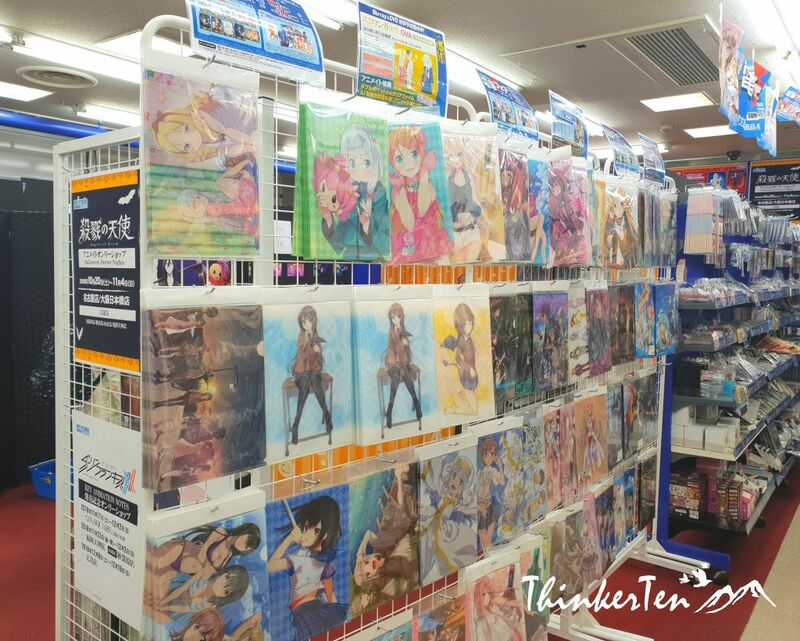 Taito Station is another huge store for anime stuff, in total there are 4 levels. If you are a fan of Japanese anime, you should include Den Den town when you are in Osaka. Wear your cosplay costume and walk around in Den Den town; or visit the maid cafe and get serve by young Japanese maids with over-the-top French maid outfits. 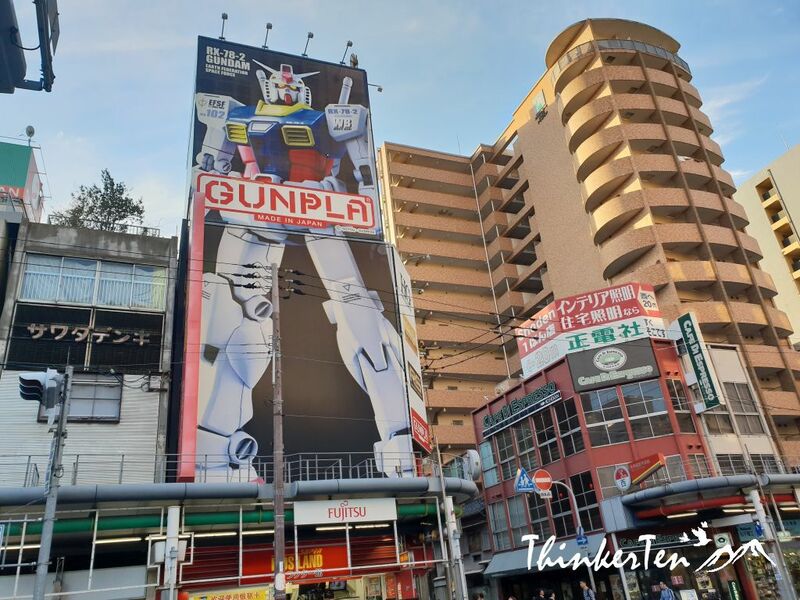 These are the few things you may want to experience the anime culture while in Den Den Town. Have you watched any animation? Which are your favorite animation and when did you watch it? I was here by train as we parked our car in the hotel and took JR and subway. 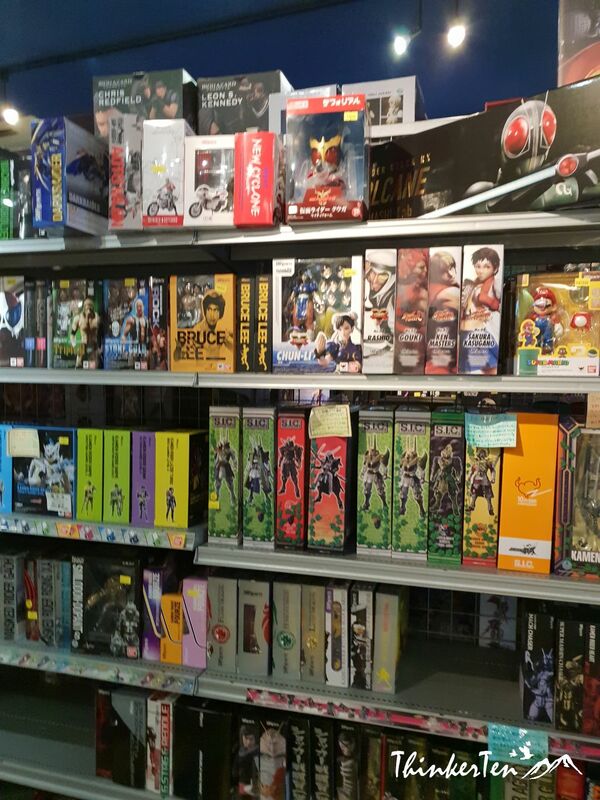 Wow, so many cool shops and anime items! This is perfect for a great fan 🙂 I cannot wait to visit Japan next year. I hope you have a good time in Japan next year. How cool is this! I love the cool unique little anime shops! I really want to travel to Japan and this looks like something really fun to do there. Few famous shops in Denden town that sell Anime stuff are Super Potato, Animate, Joshin Super Kids Land. 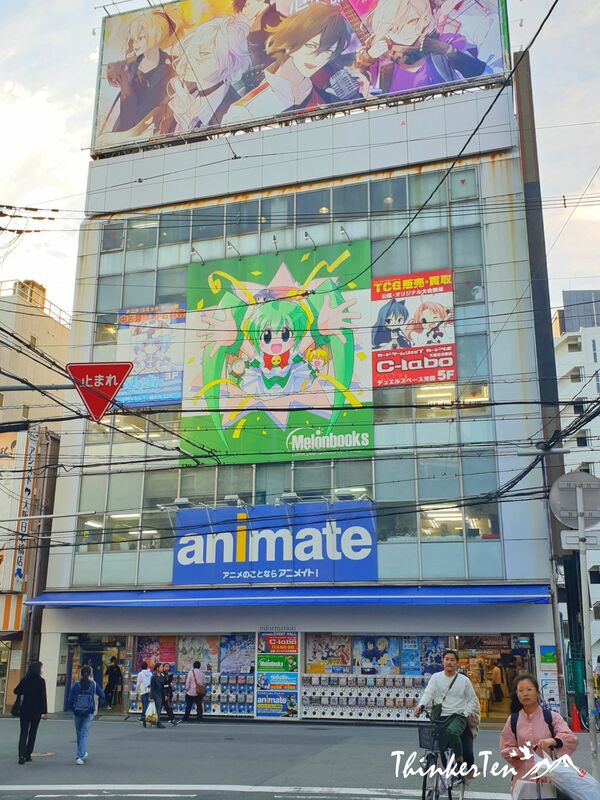 I visited Animate and it was so huge, few storey to climb. Looks like a fun town to spend time in and walk around to explore more. Den den town is fun to explore even if you are not a anime fan. My daughter would LOVE it here. She’s been aching to go to Japan. She’d love these anime stores. Anime is a global phenomenon now but actually rooted in Japan. 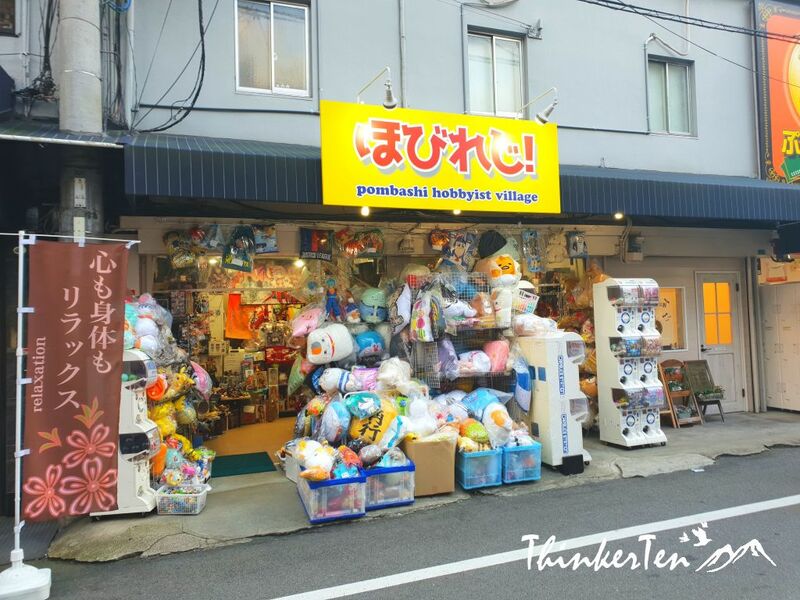 Your daughter would love Den Den town, plenty of cute toys from the anime. I’m not much into anime, but I know my nephew is going to love this! There are cd,dvd, games and toys or collectables you to choose from. Plenty of second hand stuff also if you don’t mind used items. OMG, throughout the post I could only think of how cool it would be like to be in such an environment. My sister is 10 and I know she would love this. It looks amazing, I am glad I stumbled upon this post because I did not know this side of the Japanese culture. Thank you for sharing, I am going to ask my friend Mika to tell me more about the culture. Japan is on our bucket list we’ve been planning to go there. This is such a beautiful place to explore with rich history and culture. You made me convinced to come visit there very soon. Den den town is in Osaka and Osaka is one of the biggest city in Japan after Tokyo. Osaka and Tokyo by bullet train needs about 2.5 hour. 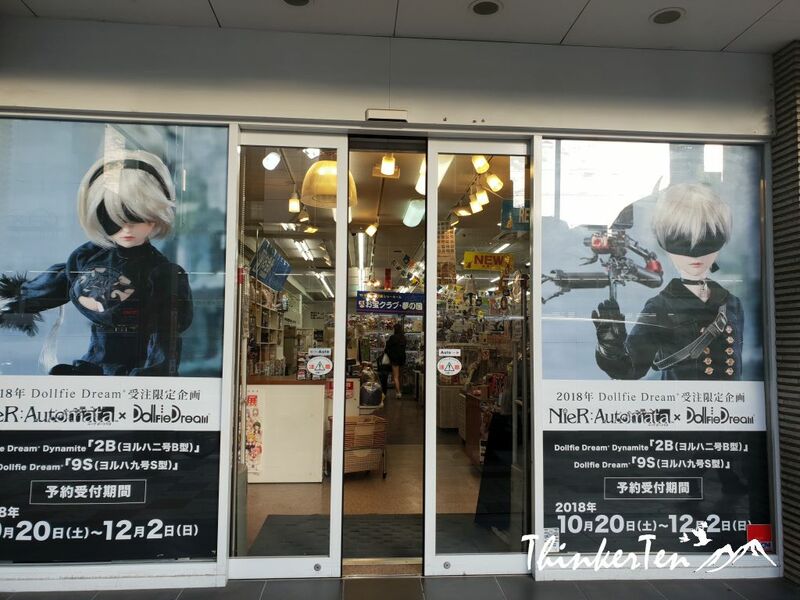 If you travelling to Osaka, don’t miss the anime kingdom in Den den town. Oh wow Japan is somewhere I have always wanted to visit and this looks amazing! It looks exactly as I thought it would if that makes sense! Japan has plenty to offer, anime culture is one of their signature and its getting big and loved by young people around the globe. Wow, Japan in Den Den Town looks like the perfect place for an anime fan to visit! Looks so much fun! Den den town get more interesting if there are events, you get to see cosplays walking around in their fancy clothes. I am an Anime fan and this has definitely become my travel destination. 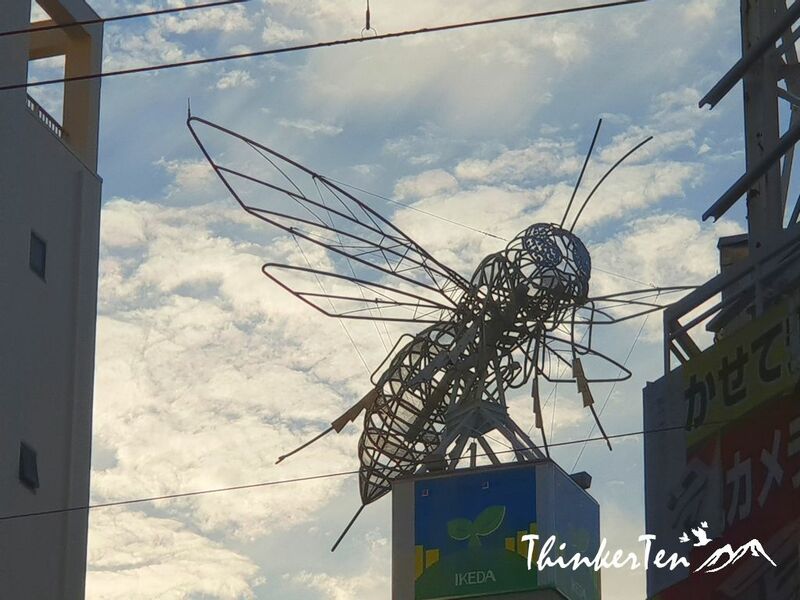 I love that big bug structure on top of the building. Not sure why the bug is at the top of the building?? Can someone tell me why? Wow looks incredible! I love Hayao Miyazaki’s animes specially Spirited Away and Ponyo. Glad you also love Miyazaki’s Anime. The totoro is my favorite. The thing that fascinated me the most about the Japanese animate industry is the eyes of the characters! Yes, it is pretty fascinating to see different eye’s expression from Anime story. Looks like such a cool place. So many things to do. Den den town is also great place to get all the electronic things and also second hand stuff. Interesting read about anime. A lot of people enjoy it. Looking forward to more great posts. Animate in Japan are targetted for all ages,not just for children. Anime are not retricted by age or gender. People watch it since young and it never stop even when they grow up. Unlike cartoon from the west, you only watched till certain age and you will stop. Wow! It is amazing to see the home of anime. I don’t think I have ever seen so many Anime options in one place before. Great for Anima fans. You are right, Den Den town is the home of anime and great for anime fans! Plenty of gem for them to dig. 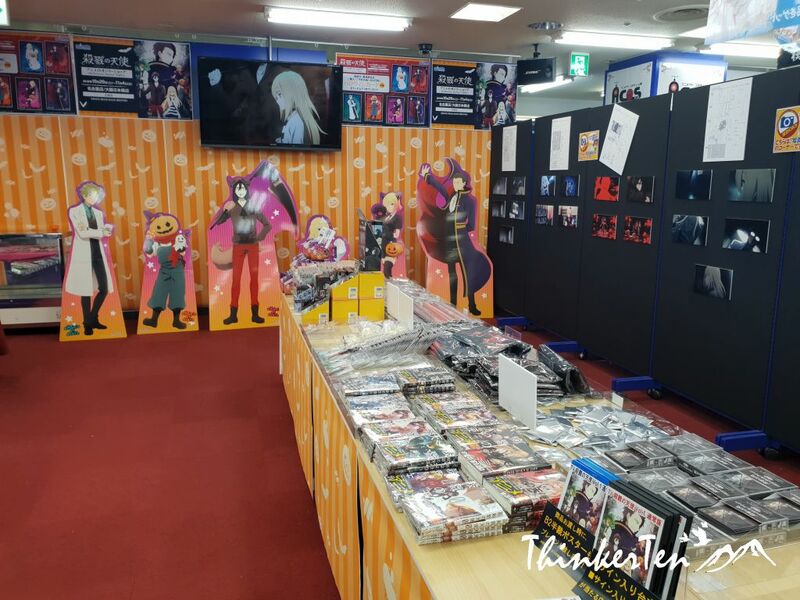 This is anime heaven!! I’d definitely visit this area if I have to go to Japan next year. 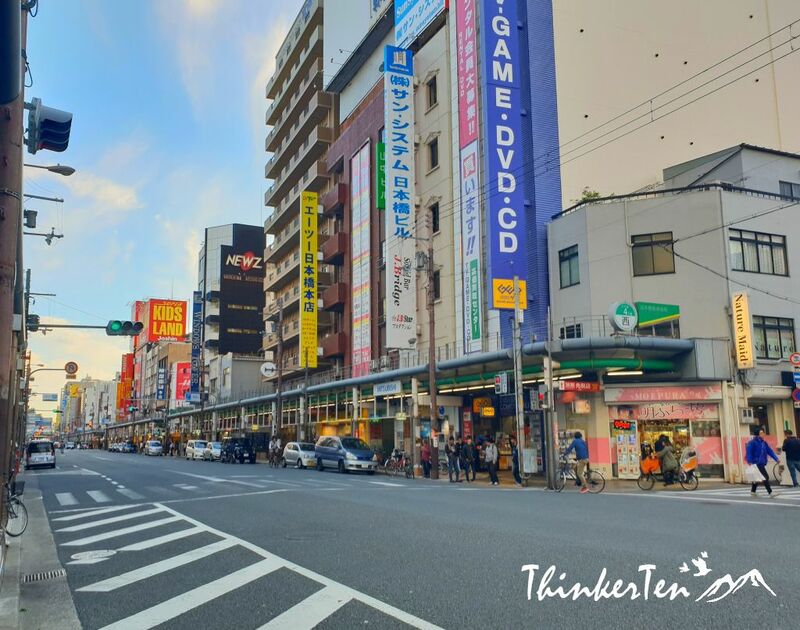 Den den town is at Nipponbashi, Kuromon Market and Dotonbori and Namba shopping district (Glico Man), so you can do it all in a day within walking distance too. Looks like great place to visit. I haven’t visited Osaka while I was in Japan. Now I miss it now. Den Den town is amazing to walk around. Been there about five times.